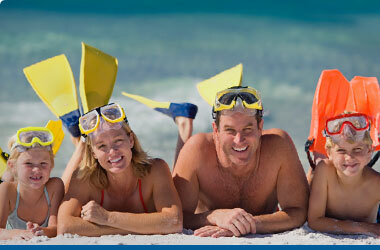 Many travel insurance policies require proof of departure and return. Purchases at “Duty Free” and using credit cards or cash debit cards on your last day at home and first day away are convenient ways of establishing a record that can be retrieved later. Medipac recommends using a passport for all your travels, and asking that it be stamped upon entering and leaving any country. That’s indisputable proof! Who can be a witness on the claim form and why do I have to have a witness? A witness can be anyone who has seen you sign the travel insurance claim form, and can include a family member, friend or neighbour. A witness signature is a requirement from the Provincial Health Insurance department. Do I have to send in the deductible even if I paid some bills? If the bills you have submitted meet the requirements of a proper bill, then we will apply this portion towards your deductible. However, if the bill submitted does not meet the requirements, then there will be a delay in processing any other provider bills received by Medipac Travel Insurance Canada. In order to process in a timely manner, we request your deductible up front, and we can then reimburse you for the bills you have already paid. * Proper bill requirements can be found on the reverse of your travel insurance policy card. Quebec clients. Why do I have to fill out the Quebec Application for Reimbursement or “Regie”? The Regie is a requirement from the Government of Quebec (Quebec Health). This form, in conjunction with the Power of Attorney, allows Medipac to pay bills to the providers on your behalf. Quebec clients. I don’t have a Power of Attorney. Do I still have to complete the Power of Attorney form? The Power Of Attorney form is a requirement of Quebec Health. It is not to be mistaken for a general power of attorney form which allows an individual of your choosing to act in your stead. This form, in conjunction with the Regie, allows Medipac to pay bills to the providers on your behalf. B.C. clients. Why do I have to fill out so many forms? (B.C. Claim Form, Schedule A and Schedule B)? These forms are a requirement by the Government of B.C. (B.C. Health). They allow Medipac to pay bills directly to providers on your behalf. In essence, you submit the bills to Medipac for handling instead of forwarding the bills to your provincial government. I sent Medipac a receipt from the doctor’s office. Why can’t you reimburse me for this bill? As a requirement from your provincial government, a medical bill must be produced for any medical attention you obtained while out of the country. Bills must meet certain criteria in order to be considered a proper bill (e.g. procedure codes, diagnosis codes, Tax ID, etc). If the bill or receipt submitted does not meet these requirements, then Medipac will attempt to obtain this information from the health care provider on your behalf. Until this information is obtained, the bill is considered incomplete. Do I have to fill out the COB (Co-ordination of Benefits) section on the claim form? I’m retired and the company I worked for no longer exists. Completing the Co-ordination of Benefits section of the Emergency Medical Expense Claim Form allows you to complete your obligation to Medipac by providing proper disclosure of your other insurance information. You are encouraged to indicate your former employer’s name and in the address section, simply enter "no longer in business." Do I have to put my spouse’s information in the COB section of the claim form if they are deceased? When completing this section of the claim form, you may simply enter ‘deceased’ as the spouse name. If you still receive health benefits as a surviving spouse from their former employer, please complete the remainder of this section. What can I use for Proof of Departure? Does a receipt at the border count? Can I use the duty free receipt? Proof of Departure can be provided in many forms. The most common items are a hotel/motel receipt from the first night across the border, a boarding pass for your flight from Canada to your destination or a credit card receipt incurred out of the country on the first or second day of your policy. It is difficult to predetermine the length of time it takes to process a claim. Once a claim is opened, certain claim protocols are followed. These include obtaining your completed claim form, deductible (if applicable), medical records (if warranted) and proper bills from medical and other providers. Once all records are obtained, a medical review is completed and then the file is sent for final adjudication. As there are many facets to a claim, this process may be lengthy. Medipac strives to process all claims within 5 business days from receipt of all required documentation. Why does a Last Will and Testament have to be notarized? For your protection, a Last Will and Testament must be an original copy, or a notarized copy, to ensure that we are dealing with the proper individual named as executor/executrix and that we are conforming to legislative requirements. Why do I have to complete a claim form when I have not paid anything or received any bills? The claim form is your authorization for Medipac to pay bills to medical and other providers on your behalf. It also allows Medipac to request additional information from the providers, such as proper bills and medical records, as needed. Is my deductible in U.S. or Canadian dollars? Deductibles are in U.S. dollars, as indicated on your application for travel insurance. Premiums, on the other hand, are in Canadian dollars. How am I reimbursed for bills I paid? In U.S. or Canadian dollars? What if I paid in another foreign currency? If your bills were paid in U.S. dollars, we will issue a U.S. dollar cheque for reimbursement. If your bills were in Canadian dollars or any foreign currency other than U.S. dollars, we will issue a cheque for reimbursement in Canadian dollars. I have received a bill from my attending doctor. Why has it not been paid? A claim file undergoes an adjudication process. During the claim procedures, if there is any information missing, such as a claim form, proper bill, medical records, etc., the file cannot be settled until this information is obtained. If you receive a bill from a provider, simply call the claims line for a status update of your file. Often Medipac can call the provider and request that any invoices are forwarded directly to Medipac for faster service. How can I get my deductible reimbursed from my other insurance company? If you have entered the other insurance company information on your claim form, and have advised Medipac that your require assistance in obtaining the deductible from your other insurance company, we will contact the other company on your behalf. Note: you must pay your Deductible up front, and may have to complete additional forms required by your other insurance company. Medipac is happy to assist in any manner, but the decision to reimburse you is entirely up to the other insurance company. How much does my provincial health insurance plan pay? Government health insurance plans vary by province and are limited in terms of out-of-country coverage. Some provinces pay as little as $75.00 a day, whereas the cost for an average hospital stay can be more than $10,000 a day. Due to these varying costs, it is difficult to determine how much is paid out by your provincial plan. However, coverage is inadequate and you should not rely solely on your provincial health care plan to cover costs of sickness or injury while traveling out-of-country. Do I have to pay a deductible for each claim on the same policy? The deductible is only applicable once for the policy, regardless of the number of claims for that policy. Do I have to complete the whole claim form and pay a deductible for a Return to Canada (RTC) claim? When making a claim under the Return to Canada benefit, you only need to complete the ‘Patient Information' section of the Emergency Medical Expense Claim Form, and then sign and date on the reverse of the form. Please note that you must also have a witness sign and date the claim form. A deductible is not required when claiming under the Return to Canada benefit. Will a Return to Canada claim count as a Claim when purchasing insurance next year? If so, will I lose my Claim Free Discount? Although your file is administered by our Claims Department, we do not consider Return to Canada claims as a claim applicable to our Claim Free Discount program. As such, this type of claim does not affect your ‘Claim Free' status or discount with Medipac. Note: even if you had one other payable medical claim, your MedipacPLUS benefits will allow for preservation of your discount. If you had a second payable medical claim, you may lose your Claim Free Discount, but will be entitled to your Loyalty Credit for future purchases. Why are there so many forms necessary for a Return to Canada claim? In order to ensure proper and timely handling of your claim, we request that all documentation be forwarded to our Claims Department. The Claim Form, affidavit, notarized copy/original death certificate and boarding pass/flight information (for the initial trip to Canada, as well as the return trip) are required. Submitting this information will support your Claim during the adjudication process, to ensure that all benefits are applicable and that your claim is not delayed due to insufficient information. Who are considered to be immediate family members? This information is outlined in the endorsement you received with your travel insurance policy, as well as in the Medipac Travel Insurance Guide. To clarify, immediate family is defined as mother, father, son, daughter, mother-in-law, father-in-law, son-in-law, daughter-in-law, granddaughter and grandson. When is the Return to Canada benefit applicable? The Return to Canada benefit is applicable when a member of your immediate family becomes deceased while you are on your trip and you wish to return to Canada to attend the funeral and then return to your vacationing destination. The benefit will not apply for any trip you make to visit a family member who is not yet deceased. The Return to Canada benefit is also applicable in the event that your primary residence in Canada becomes uninhabitable due to a natural disaster while you are on your trip. Please refer to the endorsement you received with your policy card package or to the Medipac Travel Insurance Guide for further details. When do I contact Medipac if my immediate family member is deceased? You should contact Medipac as soon as you decide you will be returning to Canada under the Return to Canada benefit. A Claim Kit will be sent to you and will outline documentation required to administer your Claim. We understand that contacting Medipac may not be a priority at the time, but we encourage you to do so in order to avoid any late notification penalty or possibility of reduced benefits. How do I make a claim under the Medical Evacuation benefit? The Medical Evacuation benefit is applicable if you return to Canada and are hospitalized within 3 days of your return. The benefit pays $100 CAD per day up to a maximum of 10 days. Please note that you are required to provide proof of hospitalization in Canada by submitting the discharge summary in order to make a claim under this benefit. How does claim forgiveness apply? Does this mean I don't have to pay anything on my claim? If you have one (1) payable medical claim on your policy, MedipacPLUS protects your ‘Claim Free' status and applicable discount for the following year's purchase of Medipac Travel Insurance. You would still be responsible for any Deductible you have chosen (if applicable). Should you have a second payable claim on the same policy, then you would not be entitled to a Claim Free Discount for purchases made the following year. You will, however, retain your Loyalty Credit.